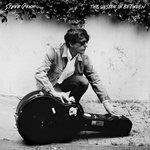 Steve Gunn reflects with a sense of self-vigilance in The Unseen in Between. It's a familiar notion for the Pennslyvania singer-songwriter, a roots-rock traditionalist whose intricate guitar playing speaks with such authority that it overshadows his personal thoughts. His technical prowess has placed him in the same category as other proficient songwriters like Adam Granduciel and Kurt Vile, all of which share a kinship as both friends and collaborators, even if he hasn't managed to achieve the same visibility as his peers. And though his approach hasn't taken any dramatic shifts, there are quite a few significant changes on his fourth LP that should rectify that discernment. The concept of loss is one that Gunn tackles with an almost naturalist's stroke throughout The Unseen in Between. Whether he's paying homage to his late father on Stonehurst Cowboy or contemplating on a bodega owner who grieves for his cat, he chooses to contemplate on how one's life personally changes when someone's absent rather than dwell with misguided hope. He tells both stories with a tender touch, as he juxtaposes vivid memories of these subjects while describing the empty places and the landscapes that were once inhabited by them. Whereas in Vagabond, he shows his admiration for the drifters, the ones who dare to "move along" and endanger their societal-approved conveniences for the chance of something worth pursuing. These are ideas that Gunn has touched upon in the past, especially in 2016's Eyes on the Line, though in Unseen, it's as if he's revisiting them with more experienced eyes. On New Moon, a desolate harmonica drifts over a jazzy interplay of upright bass and strummed chords as he resigns to a "place that no one seems to know." There's an acquired clarity and composure on Morning is Mended, where Gunn marries a nonlinear confluence of nature and Sunday-morning serenity over an unvarnished, Bert Jansch-like arrangement. The sights and sounds that surround his jammy, fingerpicked compositions have an impressionistic air to them, but when observed in greater detail, they sound expansive in scope and ambition. Mended and the aforementioned Luciano are just a few examples of how Gunn's stylistic choices have considerably matured - though true to his bluesy style, it's in how he adopts the pick-hand patterns of British acoustic folk over his winding guitar solos that his songs take unfamiliar turns. Luciano is strikingly beautiful - it begins with a deceivingly simple melody before it transitions into a translucent coda that branches off into a cosmic state of mind. That's not to say that he occasionally falls into his usual guitar assaults, like in the aptly titled New Familiar, where he twists the spiraling scales of sixties psych and sends it off with a jam-driven, two-minute finale of monumental proportions. But where Gunn truly tests his pop-centric sensibilities is on Vagabond, which assumes a dreamy vibe that is more akin to the ambient-meets-classic rock bent of The War on Drugs. By now, it's expected that Gunn's natural progression as a songwriter will go through gradual, incremental changes. He's exceptionally adept at bringing a modernist approach to his more traditional influences, an asset that shines through in his compact, yet freeform song structures. Perhaps it's a tad redundant that he hasn't turned away from his usual themes - then again, these are sentiments that still ring true for him to this day. Still, The Unseen in Between should be the album where he steps out from the shadow of his contemporaries and establishes him as one of the most reliable singer-songwriters of his generation. His heart is in tune with that of a wanderer but his songwriting is firmly in place, ready to come out of obscurity.